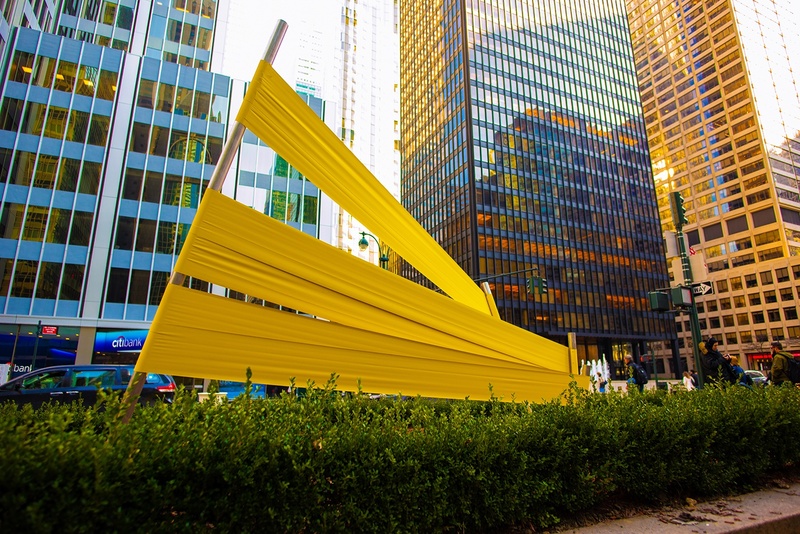 One of Joseph La Piana's Tension Sculptures installed on Park Avenue. 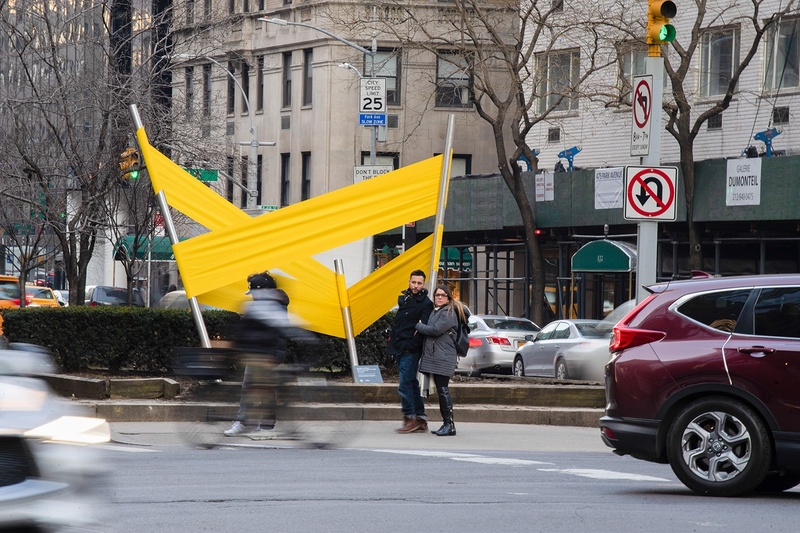 Though they may look like it, the bright yellow, sharply angled structures lining Manhattan’s Park Avenue this spring aren’t on the verge of collapse—they’re “Tension Sculptures,” the latest artistic endeavor from multidisciplinary artist Joseph La Piana. 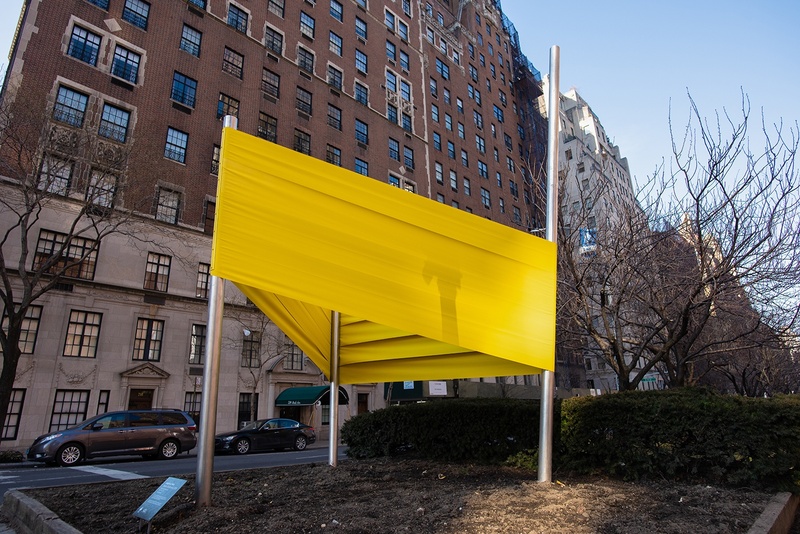 Unveiled on March 5 by the Fund for Park Avenue, these architectural installations, of which there are five in total, dot the Park Avenue Mall, the meridian spanning 53rd to 70th Streets, through July 2019. 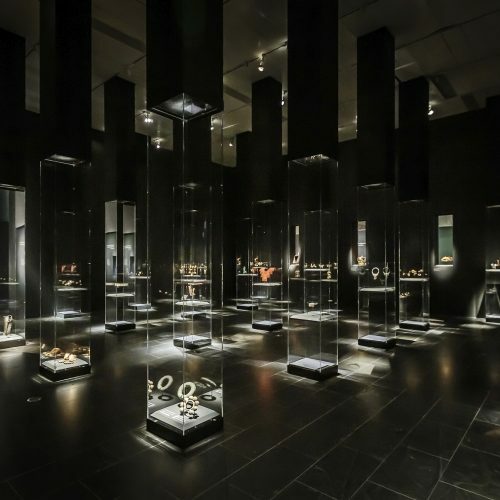 For each one, La Piana has bound steel beams with taut rubber cat’s-cradle-style, the vertices visibly stretching the material to its absolute limit. 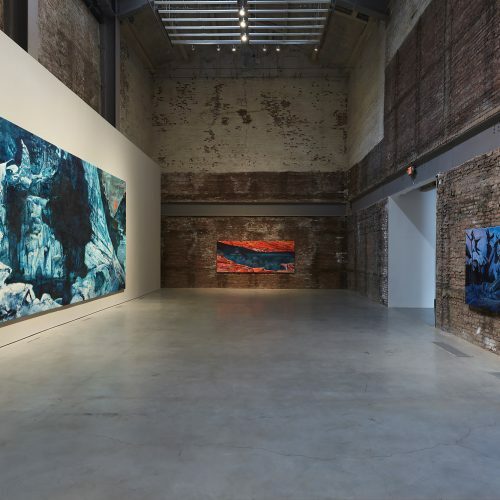 Based in Brooklyn, La Piana is a self-taught artist whose work was exhibited internationally by the Andy Warhol Museum during the 2011 Venice Biennale. 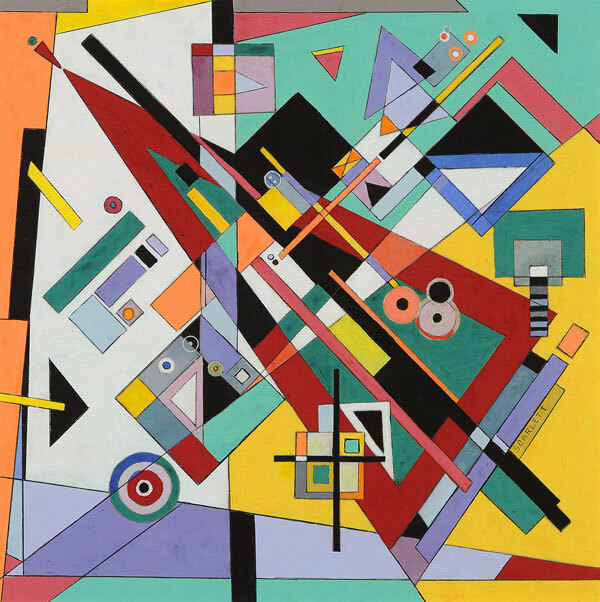 The “Tension Sculptures,” like the rest of La Piana’s oeuvre, are rooted in mathematical theories of energy and movement. 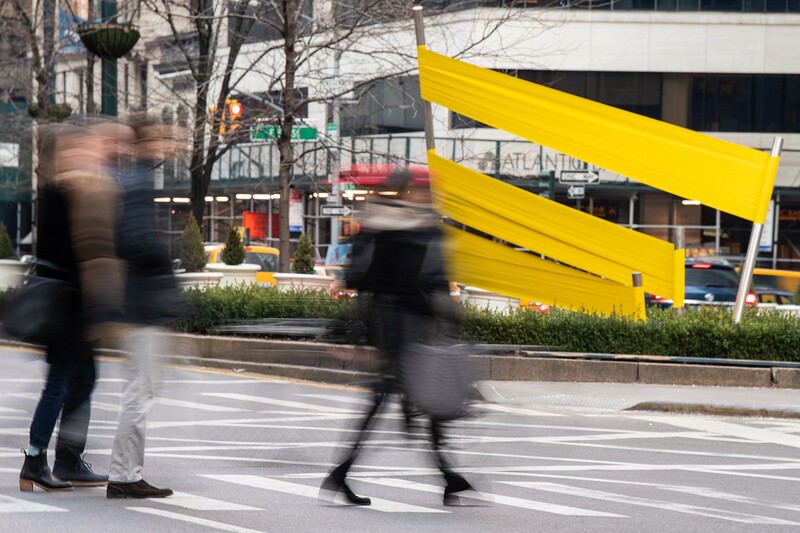 To wary pedestrians, the work probably appears ready to snap at any moment and fling bands of canary-colored rubber into nearby Central Park. 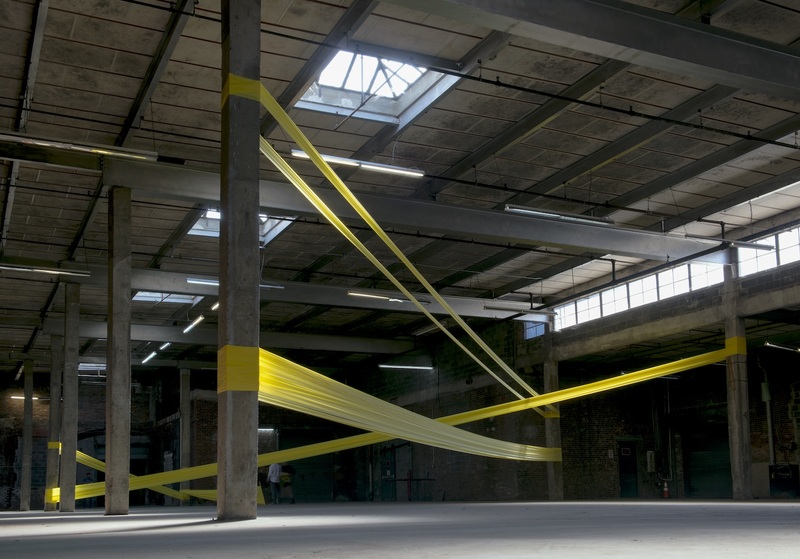 But there’s no cause for alarm—the project has already gone through two prior iterations: first inside an industrial warehouse in Red Hook in 2015, and again last April at the exhibition “Tension Between” at Sara Kay Gallery. 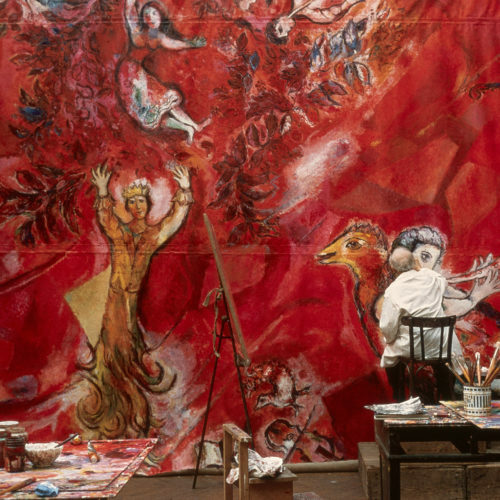 La Piana began with small models of the sculptures in his studio. Once on-site, however, constructing each full-size sculpture wasn’t as simple as scaling up the maquette. La Piana and his team worked late at night to install the sculptures in icy winter conditions, working through technical obstacles along the way. 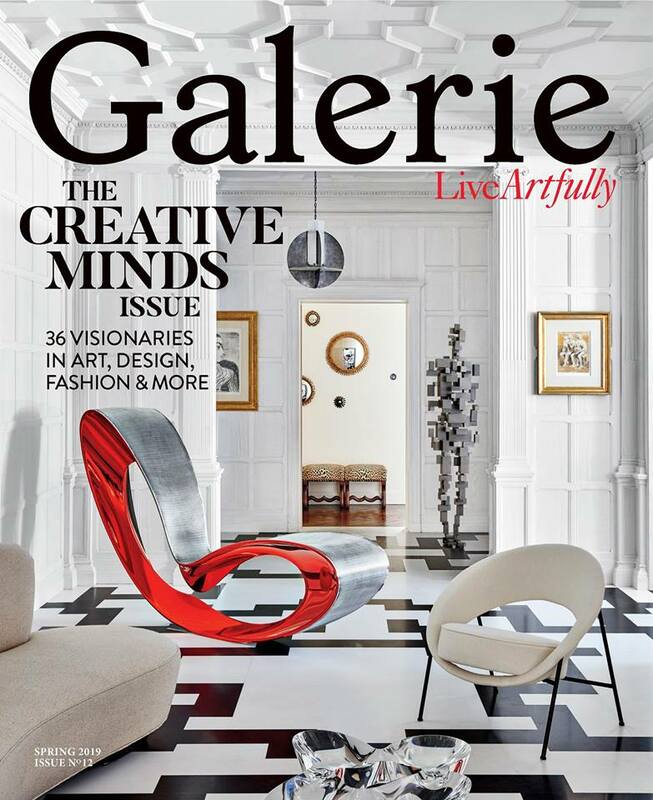 A closer look at La Piana’s works installed along Park Avenue can be found below. 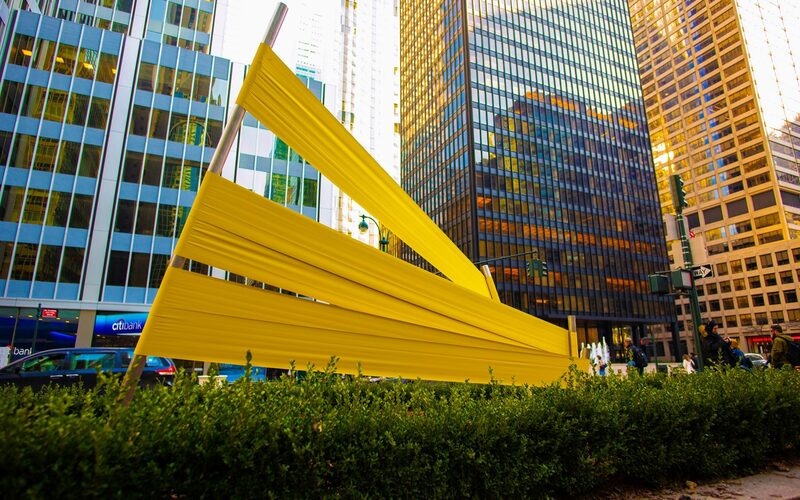 Joseph La Piana’s “Tension Sculptures” are on view along Park Avenue from 53rd to 70th Streets through July 2019.